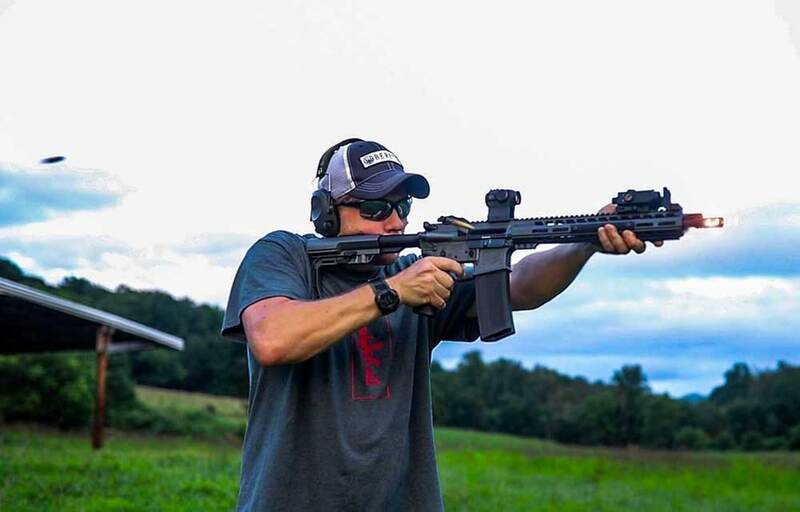 With the explosion of companies producing AR15s for the domestic market, it can be hard to cut through the clamor and find a rifle that really brings something exciting to the table. However, the Mod Mat ACE from Modern Matériel does just that. And it does it at a competitive price point that makes owning a top-quality rifle a reality for just about everyone. As soon as you take the ACE out of the box, you can tell that it’s something special. The fit and finish are impeccable, with a number of different Cerakote finishes to choose from. With an unloaded weight of just five pounds 15 ounces and almost perfect balance, it seems to float in your hands. 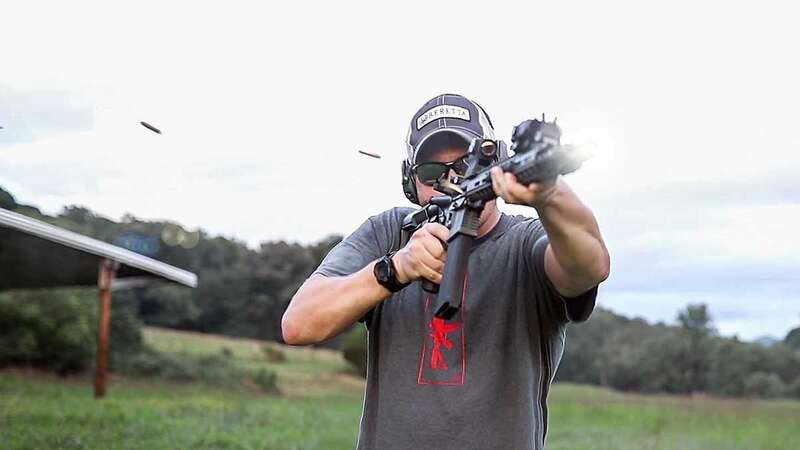 All of the rifles from Modern Matériels are 100 percent made in America and come with a staggering list of high-quality parts and features. The ACE sports a MM Exit 5.56 V2 muzzle brake, Ballistic Advantage Hanson Profile 14.5 inch corrosion resistant Vanadium steel barrel and a low profile gas block, MM ultralight free float handrail with a full Picatinny top rail and M-LOK mounting positions at the three, six and nine o’clock positions. A QPQ corrosion resistant, MPI bolt carrier with an Armaspec Victory charging handle, VZ Weapons Solutions Inter-lok G10 rail grips with a barrier stop, Mil-spec forward assist and brass reflector as well as machined aluminum flip up sights round out the forged aluminum upper receiver. 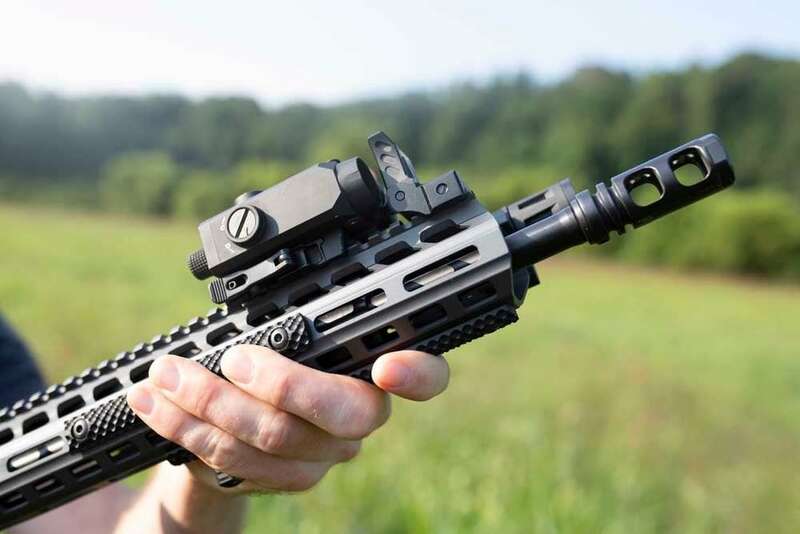 The lower receiver has a HiperFire Enhanced Duty trigger with adjustable spring weight options, VZ Weapons Solutions Recon Gen 2 rifle grip, Mission First Tactical (MFT) BattleLink Minimalist stock, Armaspec lower parts kit, ambidextrous safety selector, and Magpul MOE trigger guard. The rifle also ships with one MFT thirty round magazine. With a litany of parts and features like that, one would expect the Mod Mat ACE to be a real performer, but even our already high expectations were surpassed. The V2 muzzle brake and midlength gas system work together to make this a truly flat shooting and light recoiling rifle. The accuracy was impressive as well. The rifle held one MOA groups with no problem across a wide variety of ammunition types. It’s great balance and low recoil made accuracy while shooting on the move easy as well. Even through rapid strings of fire there was virtually no muzzle climb, so transitioning rapidly from target to target even at long ranges was very fast. 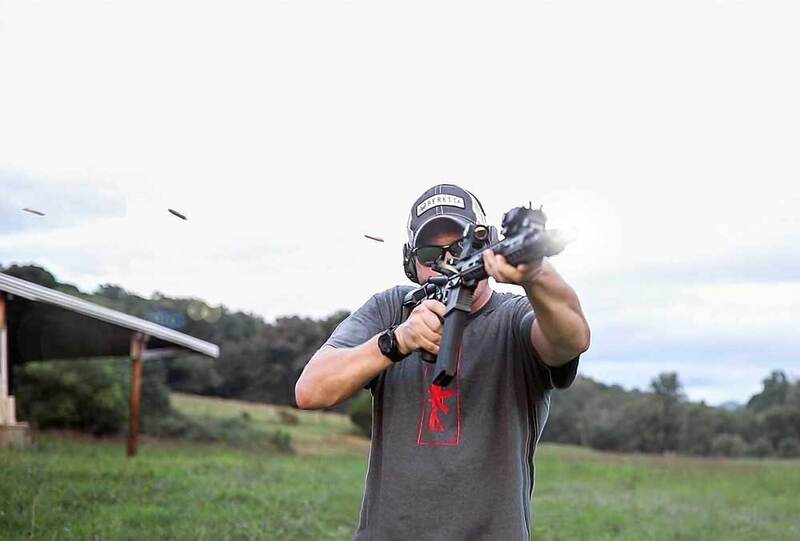 The HiperFire trigger breaks crisply and resets solidly with minimal travel letting the shooter maintain a rapid and consistent cadence of fire. About the only downside is that, due to the way the V2 muzzle brake vents gas, it can be a bit jarring to stand next to, and will really wake you up when shooting inside cars or buildings. But that’s a pretty small negative when stacked up next to all the great things this rifle has to offer a shooter. The Mod Mat Ace is a bit more than just another AR15. It is well thought out, beautifully built and packed with features you just don’t typically find on a rifle with an MSRP of $1,395. Whether it’s used it as a defensive, competition or patrol rifle, there’s no role the ACE can’t fill. It’s just about impossible not to love this rifle and it doesn’t take much imagination to see that Modern Matériel could soon be mentioned in the same breath as venerable manufacturers such as Knights Armament, Noveske, or Daniel Defense, just to name a few.